Way back in February of 2009 I wrote the very first blog post for A Thread of Red. This was the little stitching I made for that post. Shortly afterward I began decorating the second shop and continued writing the blog. Not long after that, we moved to our current location and, well, you know the scoop. I'm still here. There's a reason for that, you know - it's where I belong. 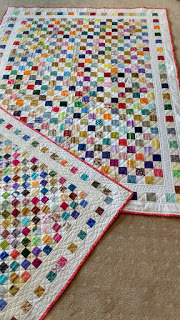 I know the mechanics of quilting, what a scant 1/4 inch is and why it's needed, how to bind both by machine and by hand, the value of color and balance, how to properly use a ruler and rotary cutter and more. 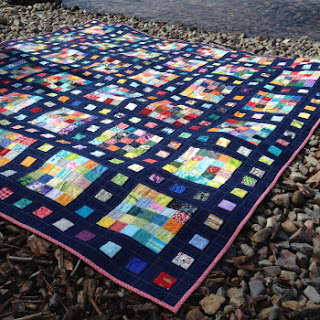 But, here's the thing - I'm not the greatest quilter, yet I do love making quilts. 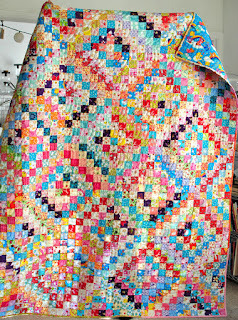 My seams are never perfect, the back sides are usually a bit messy and need some serious thread snipping and my free motion quilting skills do leave a bit to be desired. Mostly because I rush. Time is rarely my friend. 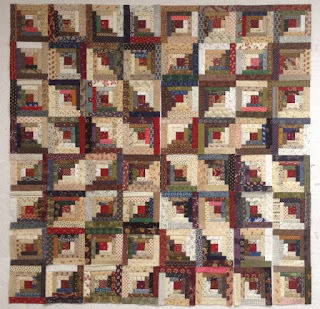 Still, I am not afraid to keep sewing and making quilts that will be wrapped around my family, my friends and, sometimes, strangers. The reason for that is because I am surrounded by people who consistently teach me, encourage me and appreciate my efforts, coworkers and customers alike. And I watch them do the same things for you. Yep, you. All of you. The seasoned, the novice, the timid, the expert. There isn't a day that goes by that I don't learn something. Because, truthfully, we cannot all know everything. If we did we wouldn't need each other. That's the key. 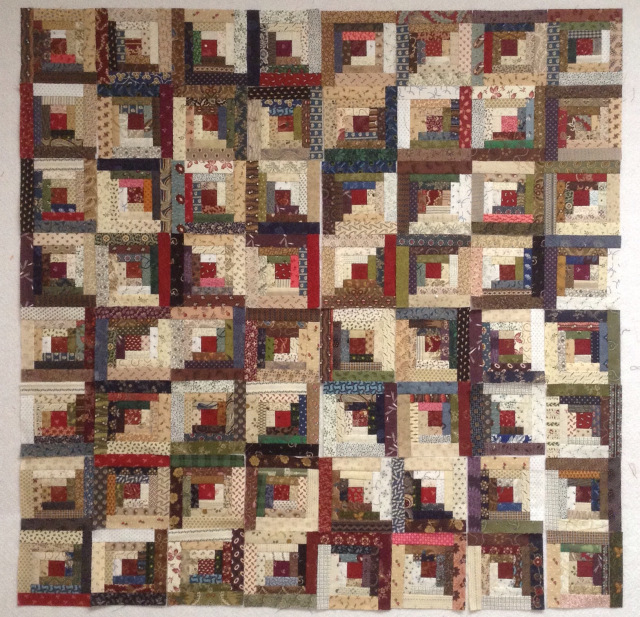 Whenever quilters gather there is lots of teaching, applauding, reassuring, praising, guiding, laughing, chatting and more all laced with a strengthening dose of friendship. It cannot happen without you. You belong here. That was the message of that first blog post and it is still the same today. Because, you know, we kind of love having you around. See you at Shop Hop next week! 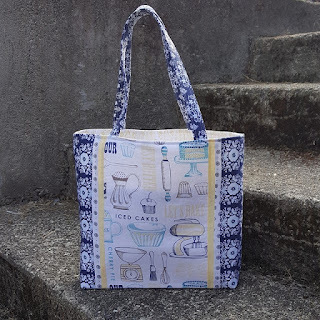 Overcome Your Fear of Sewing a Bag! 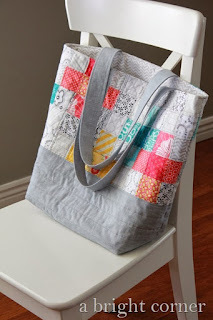 For any of you quilters out there who want to venture into bag making, but don't know where to start.. this post is just for you! If you're anything like I used to be, the idea of making a bag or purse probably scares the heck out of you! When you think of sewing something three dimensional you may begin to break out in a cold sweat, feel flushed in the face, or even lose all mental function. However, don't fear! I am here today to change everything you've ever thought you knew about basic bag making. It is not scary. It doesn't require a whole new skill set from quilting. And most importantly, you don't need to be afraid to give it a try! Read through all instructions before you start, including general instructions which often include important information about seam allowances, finishing instructions, and tips to help your finished product be the best it can be. 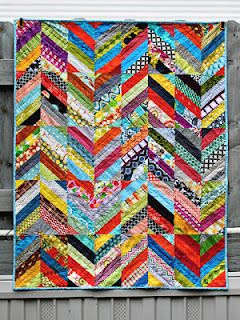 Prep all fabrics, interfacings, and other required materials before you begin any sewing. This includes pressing/ironing all fabrics, cutting according to pattern directions, properly labeling all pieces (this is HUGE! ), and fusing any interfacings with their appropriate fabric pairs. Lastly, take your time! This is where I struggle the most because once I start a project it's hard for me to take a break. I just want to get it done, NOW! However, just like in any project, rushing through can lead to incorrect cuts, skipping important steps, and not being happy with your finished project. If you mess up or skip a step, take the time to correct your mistake before proceeding! I cannot stress this point enough. Keep your seam ripper very close, it will be your best friend! Now that you have those important reminders in your head, it's time to begin your project! You'll want to be sure your first attempt at bag making is one that is simple enough you will be able to comfortably complete it. 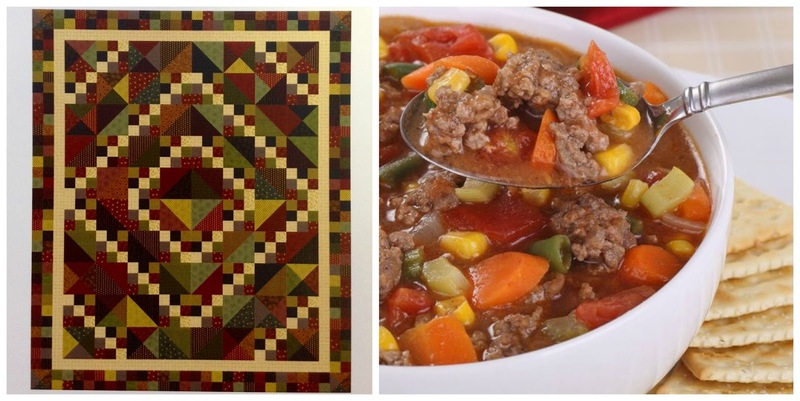 However, don't skimp on the pattern! 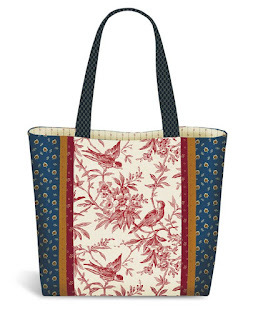 There are many free resources online that provide bag patterns, but not all patterns are made equally. 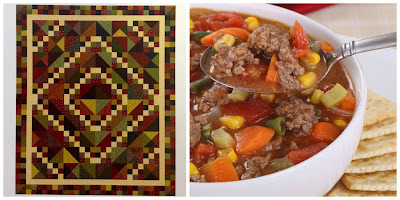 For your first project, I recommend purchasing a pattern from a reputable designer that has pictures and detailed descriptions. 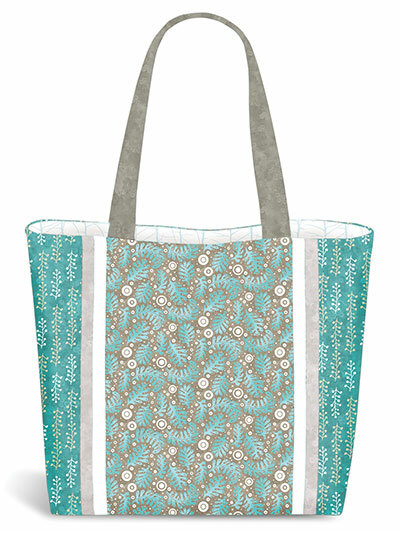 My favorite beginner bag pattern is the Fiji Tote from Pink Sand Beach Designs. 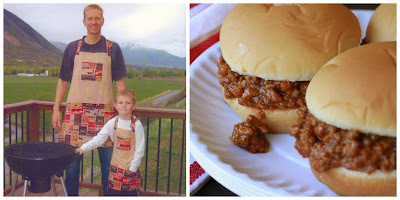 This pattern has tons of easy to follow pictures, very specific instructions, and it doesn't have any zippers or hardware (except an optional snap closure). 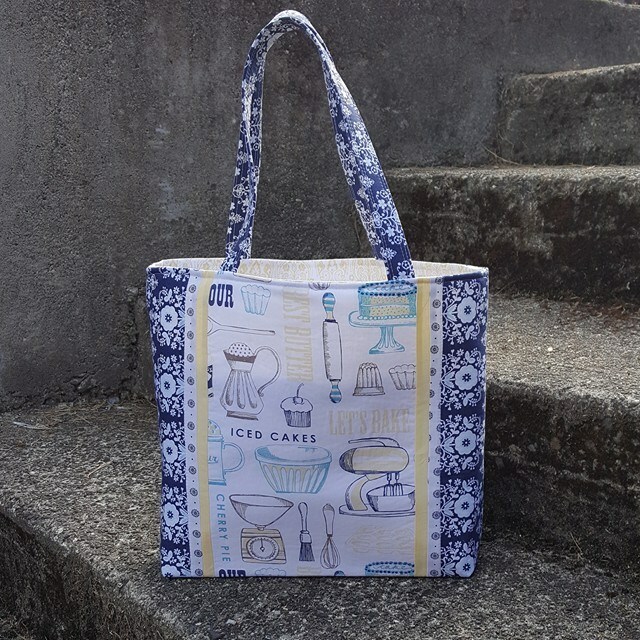 It also features tips to make your bag the best it can be! Once you've decided on a bag pattern, selecting your fabrics and interfacings is the next step. For the Fiji Tote, there is a total of six fabrics to choose. Most importantly, make sure your fabrics coordinate and have good contrast. For example, you wouldn't want to use all light fabric on the outer body of the bag because you wouldn't see the contrasting stripes as much. 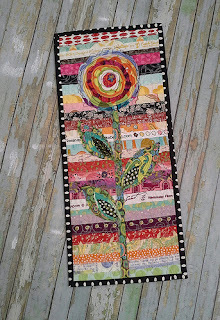 Don't be afraid to pull from your stash, as long as you have the required amount of yardage! Choosing the proper interfacings is equally as important the fabric selection. This is what will give your bag stability and shape. 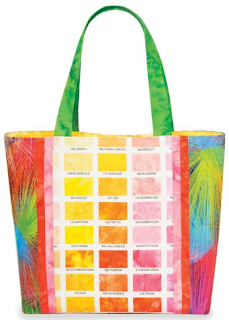 The Fiji Tote gives great recommendations for interfacings! For a very sturdy bag that keeps its shape even when empty, I would suggest a foam interfacing like By Annie's Soft & Stable or Pellon Flex-Foam (FF79F2 or FF78F1). 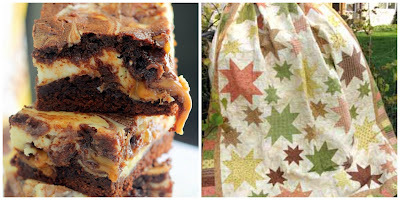 For a stable, yet flexible bag that will fold up nicely but still retain its shape, I would suggest using a fusible fleece or fusible batting such as Pellon Fusible Fleece (973F) or Bosal Fusible Batting (Style #325). For your pocket interfacings and other inner pieces, I would suggest Pellon Fusible Midweight (931TD) or Pellon Decor-bond (809). Once you've chosen your fabrics and interfacings, its prep time! I cannot stress how important it is to read carefully and label all your pieces in this step. I promise you will thank me later if you label your pieces, instead of thinking "I'll remember which piece that is." Now that you've prepped and labeled everything, it's time to start sewing. Remember this is supposed to be enjoyable! Take a deep breath before you begin and give yourself a little pep talk. You can do this! You've already done most of the leg-work in prepping and now all you have to do is sew. Remember to go step-by-step and take your time. That's it! Now that you've sewn through all of the steps of the pattern you should have a gorgeous, new bag! If you made the Fiji Tote, then your mind is probably thinking of all the amazing combinations of fabrics you can come up with for this bag. 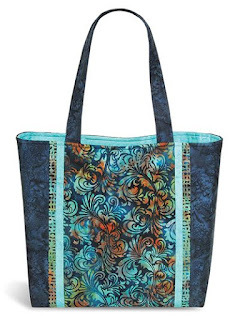 It is one of the most versatile bags, and it looks so different with different fabrics! Once you've mastered the technique, the possibilities are literally ENDLESS! Change the dimensions, add an eye-catching feature to the main panel, change up the strap options, varry your pockets, and so much more! 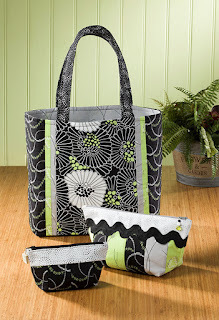 Below are my favorite pictures of the Fiji Tote, and the maker is listed below each picture. Have you made a Fiji Tote? If so we'd love to see your pictures! Post them in the comments below or email them to us at info@ascarletthread.com. Do you ever feel like life is just too serious? That you want to laugh more? That art doesn't have to be complicated? 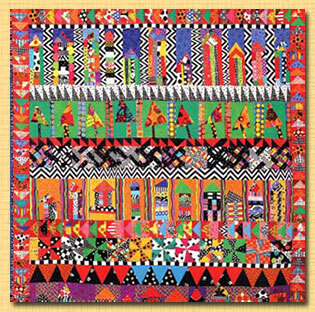 It's fun to think outside your box, beyond traditional patterns, and challenge your creativity for a little bit of "funky." It isn't just about looking at the photos and marveling about the creativity, though. 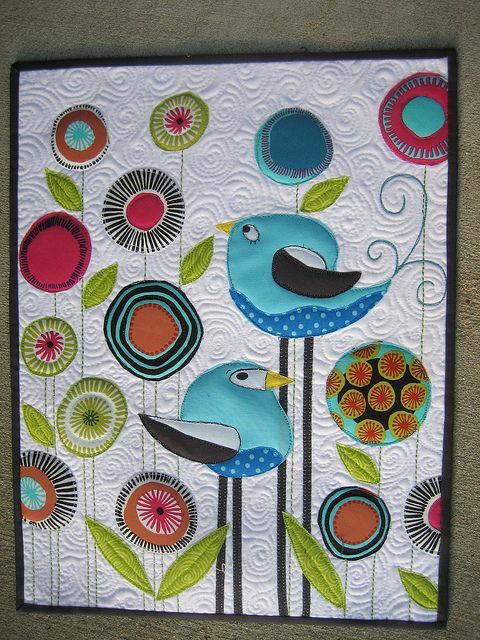 I've stumbled across some fun techniques, such as the quilted feathers tutorial, and unique approaches to creating these works of art, too. 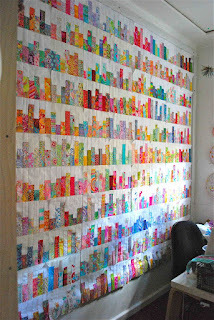 I was really intrigued by the "Parts Department" concept described for the Abstract Houses quilt, which is made up of quilt blocks in various sizes, styles and colors, blended with black and white elements. Who doesn't have a myriad assortment of orphan blocks that never seem to be useful? I know I do! Wouldn't this be a great challenge idea! Who's up for it? Until next time...Life is short. Buy the fabric! 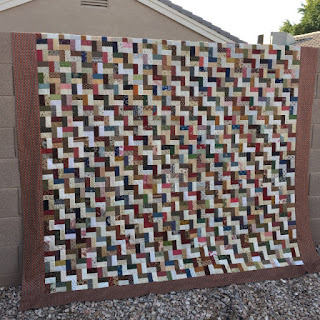 Spring Cleaning = Scrap Happy! As many of you may know, I (Kaitlin) will be relocating to Roanoke, Virginia at the end of the week to answer God's calling on my life. Thanks to the amazing staff here at AST, especially Ken & Karen, I will still be working virtually from Virginia! I will still be sending out weekly newsletters, updating social media, and working on our new website. You might be wondering why I'm telling you all this, but there is a reason! While packing my sewing room up, I decided to use the opportunity to do some spring cleaning. Since it's in the 70's outside, you can spring clean in February, right? Anyway, I am not ashamed to admit, I am a hoarder of scraps. Especially Bonnie & Camille scraps! I just can't stand to throw away those little cuties! 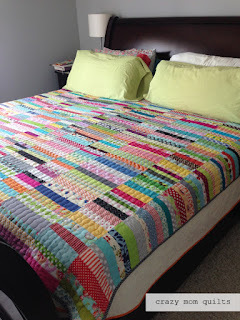 Plus the top ten tips from Crazy Mom Quilts for Successful Scrappy Quilting! 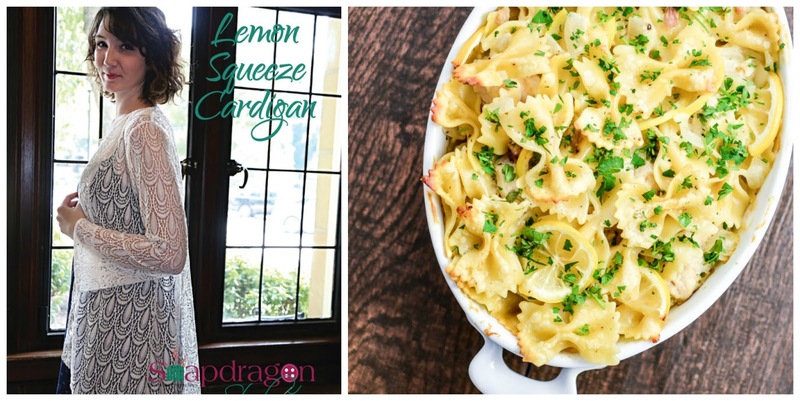 Who doesn't love a good recipe? 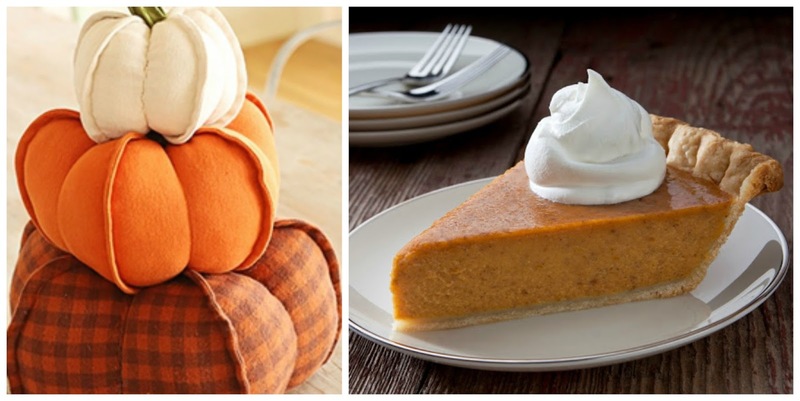 What would be even better than a list of all of our favorite recipes in one place? 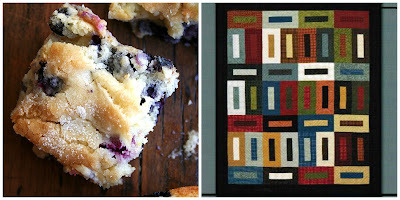 A quilt pattern inspired by the recipe to go along with it! Just simply click on the recipe name to be taken to the recipe.